Ah, Gangnam. The area meaning “South of the River” made famous by the Psy song that everyone knows–even if they don’t want to! Reputed to be the more glamorous of the gu’s, the buildings are tall, the pedestrians are fast and the cab drivers worse than any other district in the city. Visiting Gangnam Station, it’s hard to get a sense of what to do and why this neighborhood is so famous. With crowds worthy of any metropolis, you could easily find yourself lost in the sea of office workers pouring out of the subway when quittin’ time hits. Connecting the Gyeonggido province to Seoul and serving as the meeting center for the Southern district of the city, The Ministry of Land, Transport and Maritime Affairs back in 2012 reports that Gangnam Station is the most popular subway station in South Korea. But with very few outstanding restaurants, and not too many landmarks, you really have to ask yourself: Where is everyone headed? And what makes the location so popular? Stay a whole day in Gangnam and you can see the transformation of the average Korean employee–putting on a smile for the company lunch and then loosing his tie for a drink at night. On a Friday, join as a group of friends rip up a burning Friday with grilled meat and soju. Life here is fast and everyone’s partying to keep up! The main Gangnam street, called Teheran-ro, is actually located between Gangnam Station and Sinnonhyeon Station. Depending on where in Gangnam you would like to visit, it may be easier for you to get off at Sinnonhyeon Station intead of Gangnam Station. Also, beware that Gangnam Station can be quite huge–getting off at the wrong exit could be quite the headache! SubwayTake the AREX to the Hongik University Station. Transfer on Line 2 for Gangnam Station. Although this route isn’t necessarily the fastest, it may be a good option if trying out the bus system gives you anxiety since the route is pretty cut and dry. (1 hour 45 minutes). Exit 1 & 12Walking straight out of these exits will lead you towards Yeoksam Station. Exit 2,3 & 4 Behind the front of a few large businesses and stores, there are a few study cafes, love motels and residences in this area. Exit 5,6 & 7Behind the front of a few large businesses and stores, walking straight of these exits will lead you towards a rarely residential portion of the neighborhood. Exit 8Walking straight of this exit will lead you towards Seoul National University of Education Station. Exit 10Exit 10 and 11 are two of the most popular exits to take at Gangnam Station and both of them face Sinnonhyeon Station. Club Mass is located quite close to the exit. Exit 11Walk straight out of Exit 11 for the local CGV. 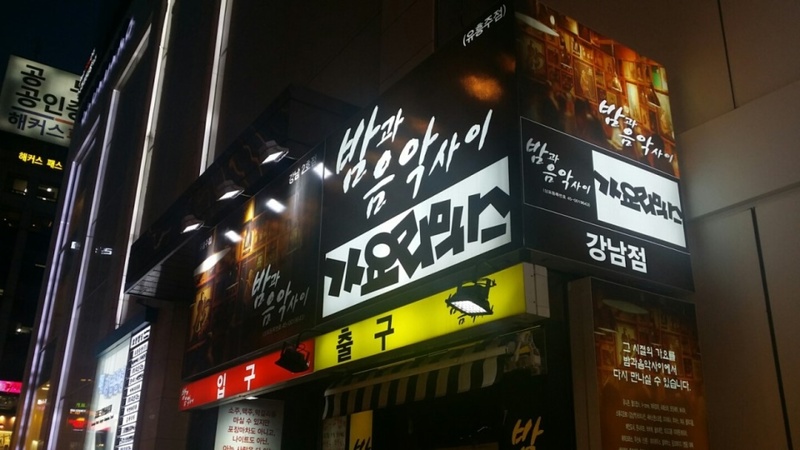 This is also the side of Gangnam where the Samgyeopsal Street is located. Tip 2 : Although times are changing, taxi drivers can be notoriously aggressive in Gangnam–especially when it hits past midnight. Taxi drivers make more money taking customers to the outskirts of Seoul and thus show a clear preference when trying to pick up customers. Don’t be too shocked if it takes you an hour or two trying to catch a ride home on a Thursday night. Gangnam Station has a main road where all the big brand name stores are. The street behind is where all the bars, restaurants and clubs are. And Ocloud is located on that back street. Luckily, it’s at the end of the street so it’s not too crazy at night. Try to get one of the rooms higher up for a nice night view. The area is a major transportation hub, so transportation is great as well. Sinnonhyeon Station (line 9) is a 2 minute walk, Gangnam Station (Line 2, New Bundang Line) is 5 minutes away, and there are busses that go to every corner of the city as well as outer satellite cities. 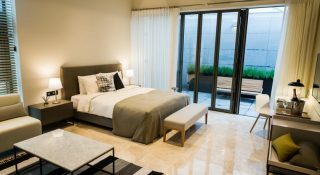 If you’re planning a lazy vacation in Seoul where you’ll wake up without an alarm clock, head out for a late lunch, maybe do some shopping and then probably spend the rest of your day in your hotel room, you might want to find a nice boutique hotel in Seoul that’ll make you feel great just by being there. Located 10 minutes away from Yeoksam Station, Boree Hotel isn’t necessarily the best hotel in terms of location. However, there is something about the smiling staff and the simple white rooms that sets it apart from many other spaces. 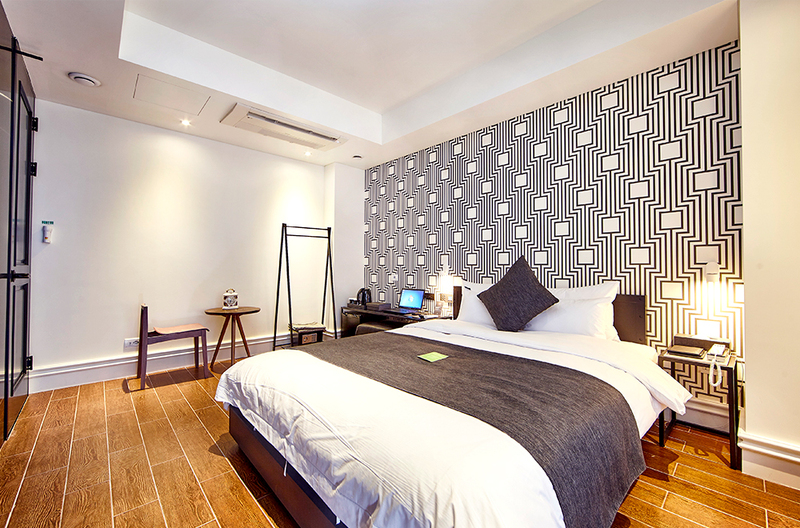 If you’re looking for a splurge from an independent hotel in Seoul–Boree Hotel’s Terrace with their king sized beds, private terrace and larger than life bathroom is a great option. 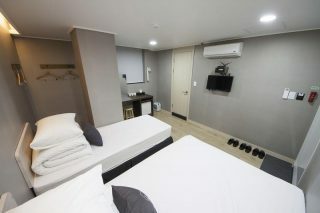 A relatively new addition to Gangnam’s hotel scene, Hotel Soulhada is located only five minutes away from Gangnam Station. 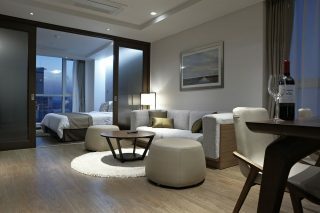 In a short amount of time, the hotel has garnered a lot of interest because of its modern design and great service. 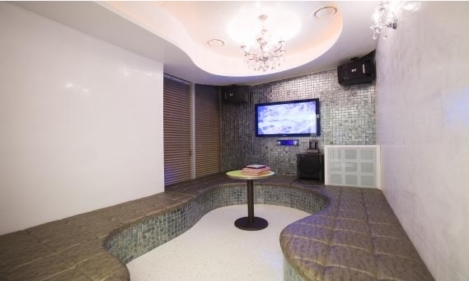 The white freestanding bathtub available in many of the rooms are all the rage in Seoul nowadays. 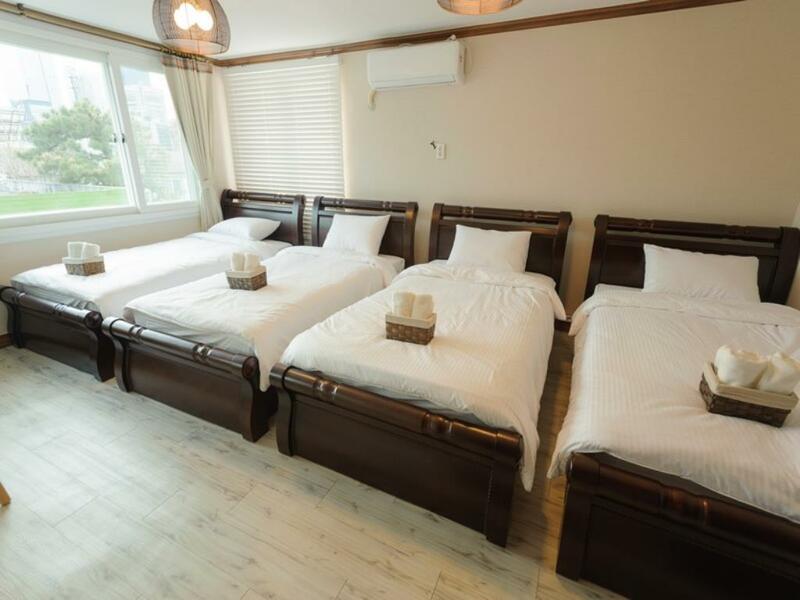 K-Guesthouse Premium is in a prime location, a block away from Sinnonhyeon Station (Line 9). 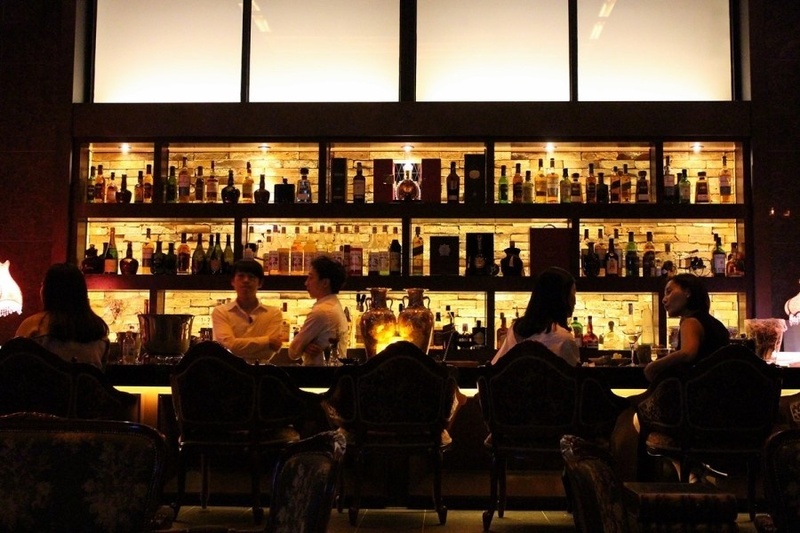 The area itself is famous for the its bars, but it’s somehow unknown to non-Koreans. 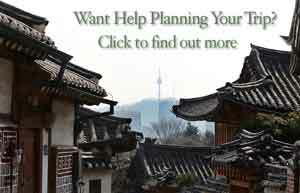 Walk across the street and you’ll be in the main Gangnam Station area as well. It’s busy, fun and there’s lots to do. The guesthouse is reasonably priced as well, so you’ll find excellent value here. Although there are so many restaurants and the neighborhood is bubbling with so many foodies, it never ceases to amaze us how few great restaurants there are in this neighborhood. Sure, you could walk into an average Korean barbecue restaurant in this area and it’s bound to be pretty good–but knock out restaurants? The kind where you can’t believe what you ate? That’s pretty difficult to find in this neighborhood. 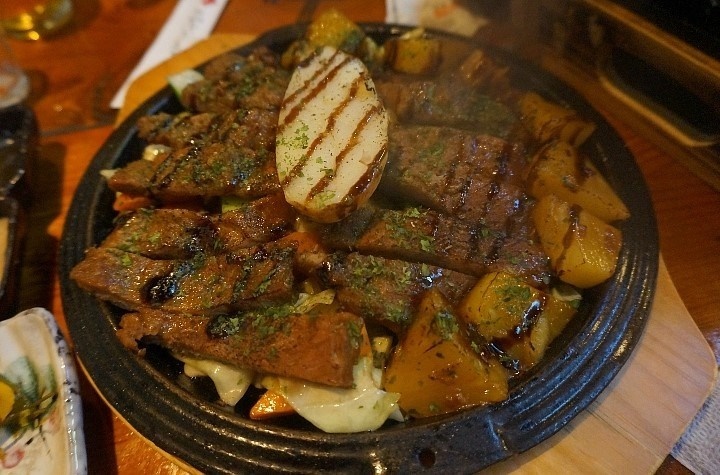 Of course, much of that is changing and foreign food is widely becoming available in Gangnam so go check out for yourself Gangnam’s changing restaurant scene and let us know if there’s anything we should add to our list. From izakayas to pubs and self-serve beer bars, Gangnam Station is full of different types of bars for the enthusiastic imbiber. 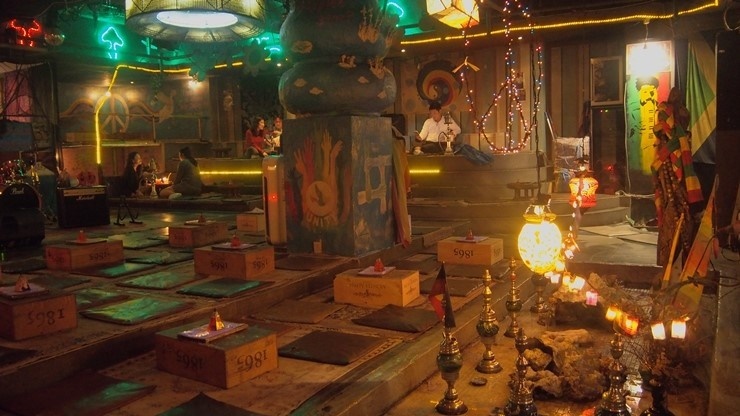 In this area, you’re less likely to just walk into a friendly, atmospheric bar and there’s a different energy than other areas of Seoul, for sure. The size of many of the bars means that they can accommodate larger groups and there’s much more people-watching to do. 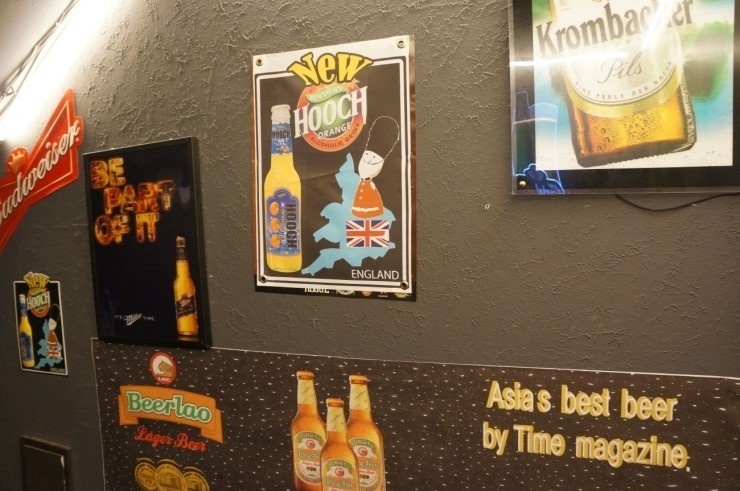 With the exception of Itaewon perhaps, there’s a certain type of mingling that’s acceptable only here–men asking women to join tables, winks from across the room and women talking to each other in the bathroom. After all, what’s a party without the drinks? 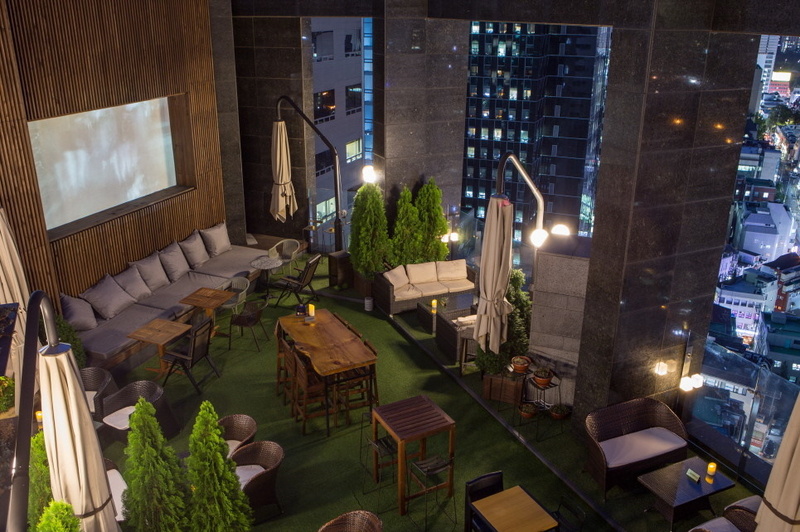 Located on top of the Mercure Ambassador Hotel, Rooftop Bar Kloud is one of the most successful rooftop bars in the Gangnam Station area and perhaps one of the few bars in the area to have a quiet cocktail with a great view. The top-shelf cocktails are delicious and the food (Korean-Western fusion) is decent. Full of after-hours office workers and those in Korea on business, the bar is more crowded on the weekdays than it is in on weekends. In all honesty, the Gangnam Café Street pales in comparison to Samcheong-dong or Hongdae but there are still treasures to be found. Unlike the big brand name shops on the main street, the Gangnam Café Street (located on Bongeunsa4-gil and Bongeunsa-6gil) doesn’t necessarily have small hole in the wall joints that feel like they’re completely yours–instead, they’re open and wide spaces that allow for plenty of sunlight and people watching. You don’t have to feel pressured by a café manager to leave and you can watch dramas for as long as you’d like on your computer. Since cafes in this area die young, try not to look for the same café on a returning trip to Seoul and savor the moment while you can! 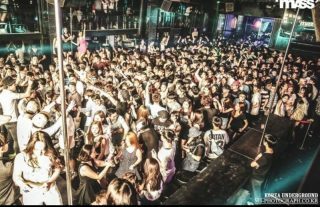 Since people rarely live on their own for social and financial reasons, bang culture or private room culture is huge in Korea. There are pc-bangs with computers mostly for gamers and even questionable private pc-bangs where young men rent out small rooms with computers in them. There are DVD-bangs where friends or couples go to “watch movies” and multi-bangs where you can sing, play Wii and watch movies. 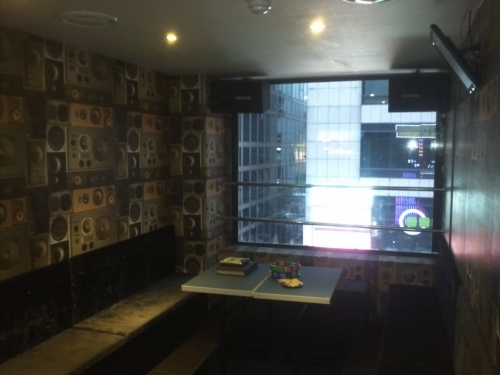 There are norae-bangs where you and a group of friends can have a private karaoke room to yourselves. In general, the quality of bangs in the Gangnam area is much higher than others. There are snacks served at the door, an extensive collection of movies at the DVD-bangs and the rooms are as clean as these types of establishments can get. 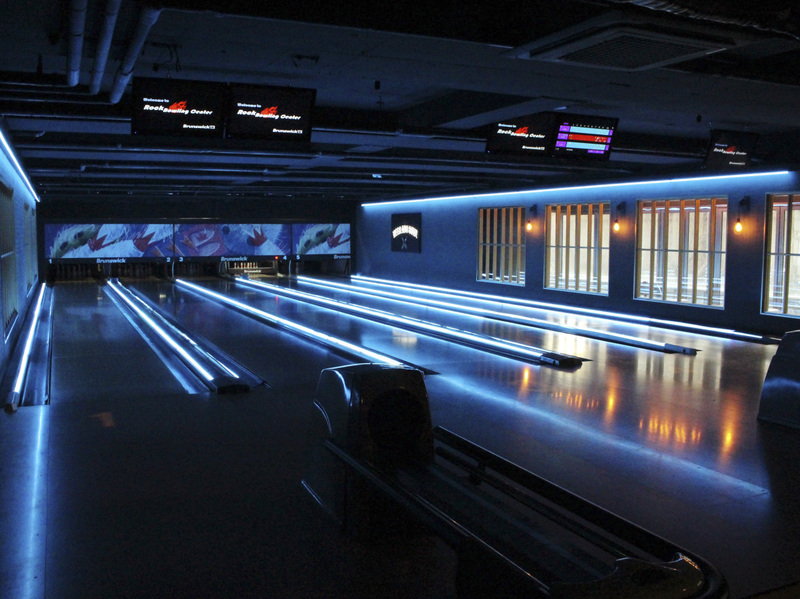 Among the bangs, the one you can’t miss is the norae-bang and while in Gangnam, you have to try out these luxury establishments with twirling lights, large seating and plenty of play-instruments! Although “Gangnam clubs” are often, the reality is that many Gangnam clubs are not exactly around Gangnam Station. Even attempting to reach popular Gangnam Clubs like Club Arena or Octagon via taxi is quite the feat since many cab drivers aren’t willing to go such short distances. 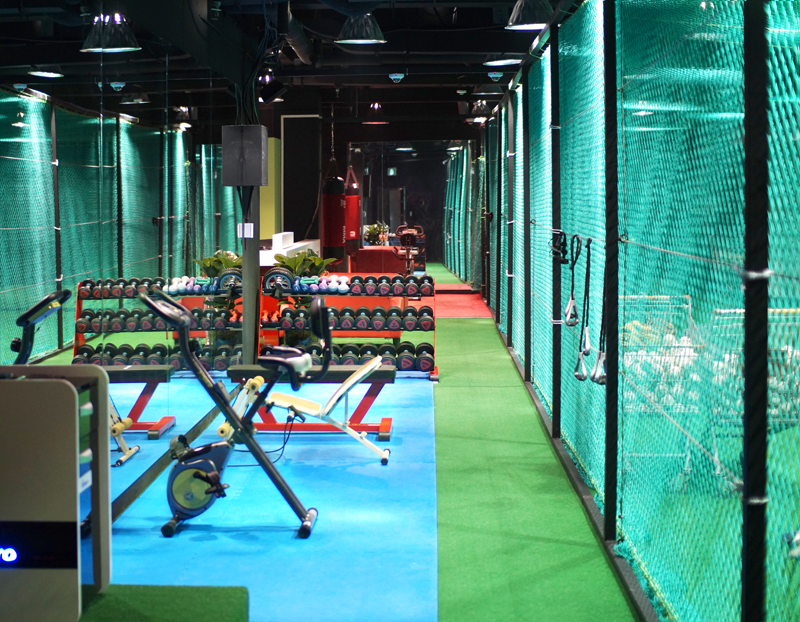 If you’re looking to dance near Gangnam Station, these clubs below might be your best bets. 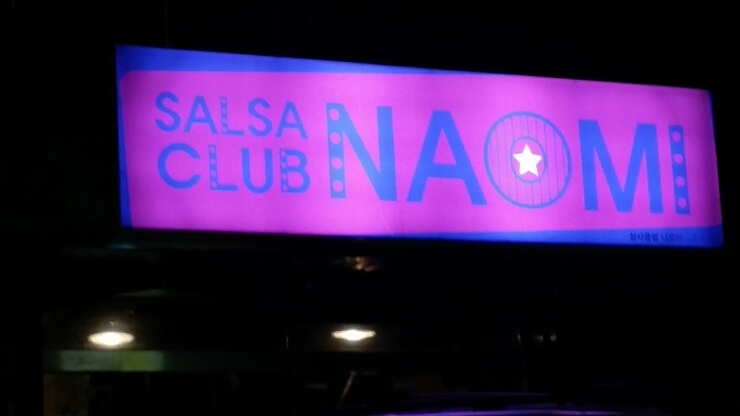 While it may not be as well-promoted in the mainstream scene, the ballroom dancing culture is huge in Korea and there’s nowhere better to evidence that than the Salsa Club Naomi. Well loved by locals, there are special parties that go on here every week and a community of dancers gather to show off their moves. You may find it a bit awkward to try to fit in at first, but be bold enough to make the first move and you’ll be fine. 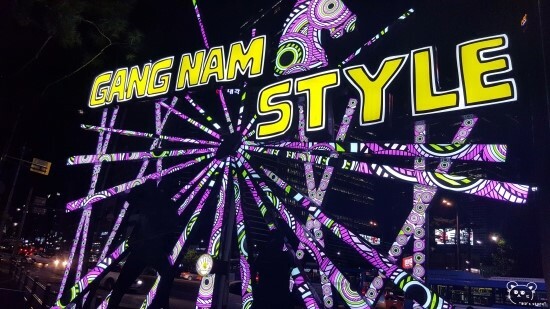 You may have heard it said that Gangnam is the playground for adults and you’ll find it more true than ever when you see the streets late at night–especially in the area sandwiched between Gangnam Exit 9 and 10 on Seochodaero-73gil and Seochodaero-77gil. There are a few trucks with carnival games so that when you’re drunk, you can aim to pop a balloon and win an overstuffed teddy bear; a mechanical punching bag that’s outlived most of the cafes in that area and a few Korean flip the coin games for small prizes. Additionally, there are dozens of places to play coin baseball, screen-golf, screen-baseball and drunken bowling. 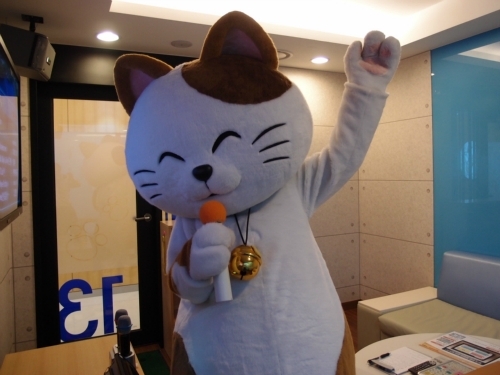 Located on the main Gangnam Street, the Kakao Friends store created quite the sensation when it opened its doors. A towering building, it’s jam packed with your favorite characters from Korea’s most popular chatting app. 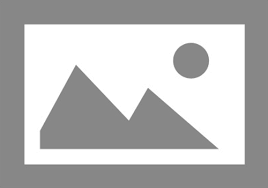 There are large Ryan, Frodo, Neo, Muzi, Apeach and G-Jay characters with whom you can take your next Facebook profile picture with. You can buy souvenirs of your favorite characters on pencil cases, phone cases, pens, mouse pads, t-shirts, pillows and other fun items. There’s even a café on the third floor where you can hang out and relax with your friends, both online and real life. 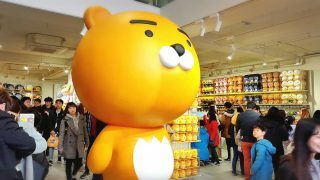 While there are other smaller Kakao Friends stores located throughout Seoul, the Kakao Friends Flagship Store in Hongdae is the other flagship store in Seoul. 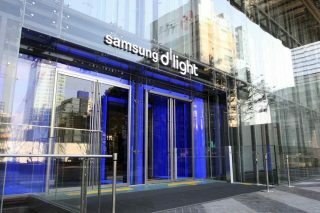 (삼성전자 홍보관 – 딜라이트) If you want to see the cutting edge of technology, Samsung D’light shows the latest wares of Korea’s leading electronics company. They exhibit all the latest Samsung products in a three-storied exhibition space. 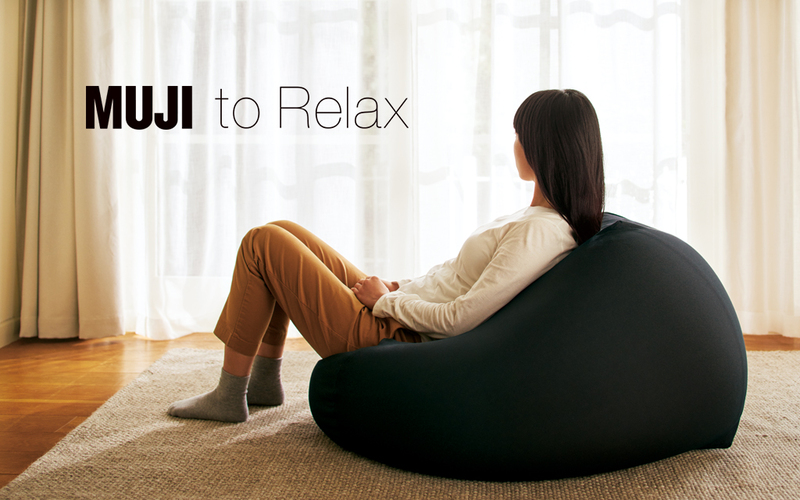 You can experience all the newest electronics and see what the future of technology is imagined by Samsung. If you want to know where to buy the latest Samsung phones, VR technologies or want to discover what’s coming out on the market next, this is the flagship Samsung shop in Seoul any tech nerd has to visit. 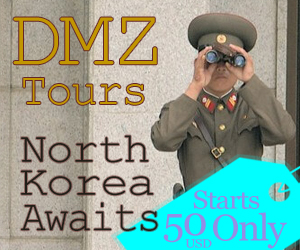 * Docent Tour available by reservation in Korean, English and Chinese.